are to die for! 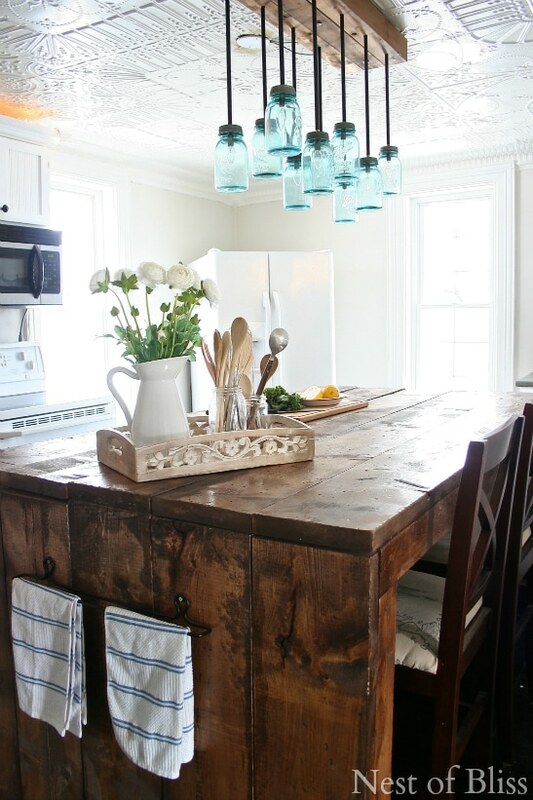 The rustic look is such a big trend right now and you can really make these your own very easily. Mason jar wall decor has never been easier! Want a different type of wood? Done. (We all know how much I love pallets!) Paint the wood if needed? Your call! 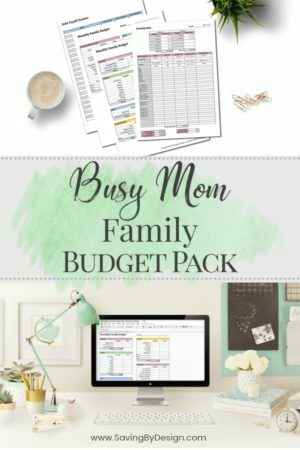 Since this is a DIY project that you can personalize, you’ll be able to make it look exactly how you need without a problem. I also love that you can have these types of sconces and continually change what you may put inside of them…flowers, candles, or whatever works best for your space! 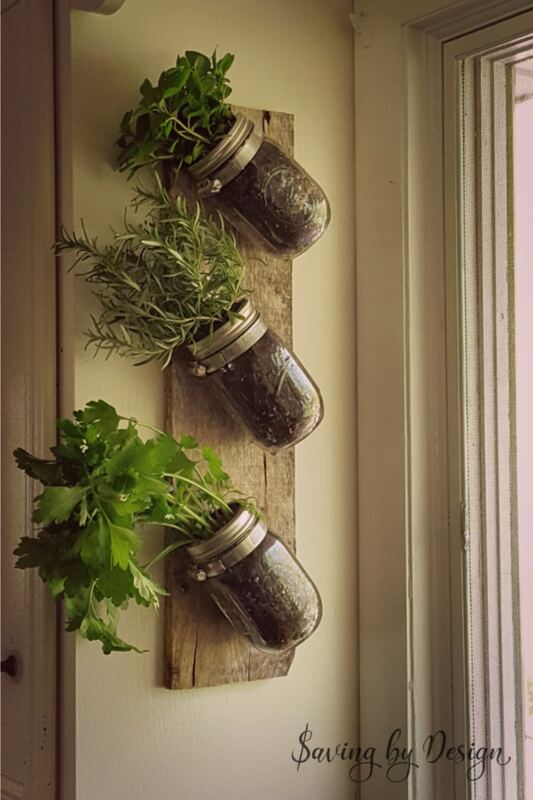 I’m a gardening nut, so I just love these Mason Jar Herb Wall Planters found right here at Saving by Design! I’m always looking for ways that I can garden all year long and, in my opinion, there isn’t anything quite as great as cooking with fresh herbs in the middle of winter. This mason jar herb garden will be the exact thing that will help you eat fresh and healthy all year long, while being super easy to create! These Frosted Mason Jars are so soft and lovely. They are a great DIY project for those fresh flowers or herbs you love to have out all of the time. Check out the tutorial over at TodaysCreativeLife.com and complete this great DIY project in an afternoon. By the time your loved ones are home for dinner, you’ll have a new mason jar home decor all set up and ready to welcome them home! There are many different ways you can frost the mason jar and you can even create your own special patterns if you choose. You can create a light frost to the mason jar, or make it so you can barely see through at all. It’s all up to you! Finish it off by adding some twine to the top of the jar for the perfect finishing touch. 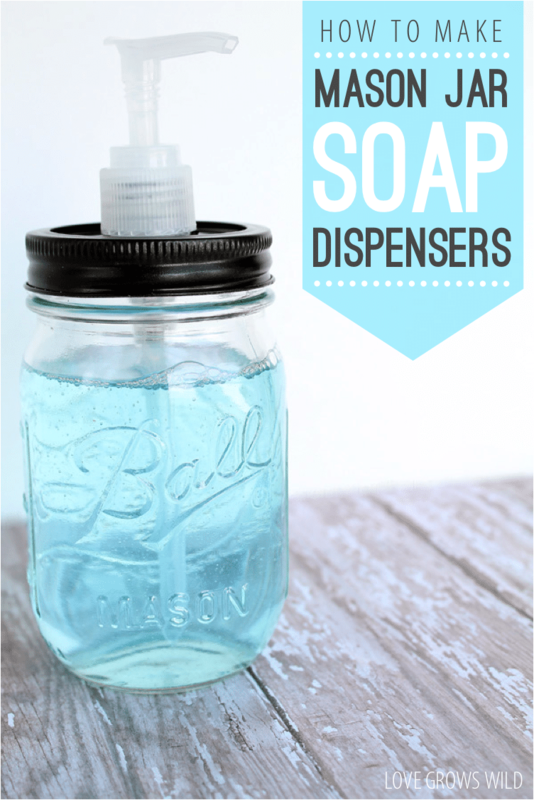 These Mason Jar Soap Dispensers were found over at Love Grows Wild are such a fun and creative way to house the soap in your home. A practical solution while utilizing mason jar decor?! What could be better? Perfect for the kitchen or bathroom, you’ll definitely have someone ask you for the details on how you made it! 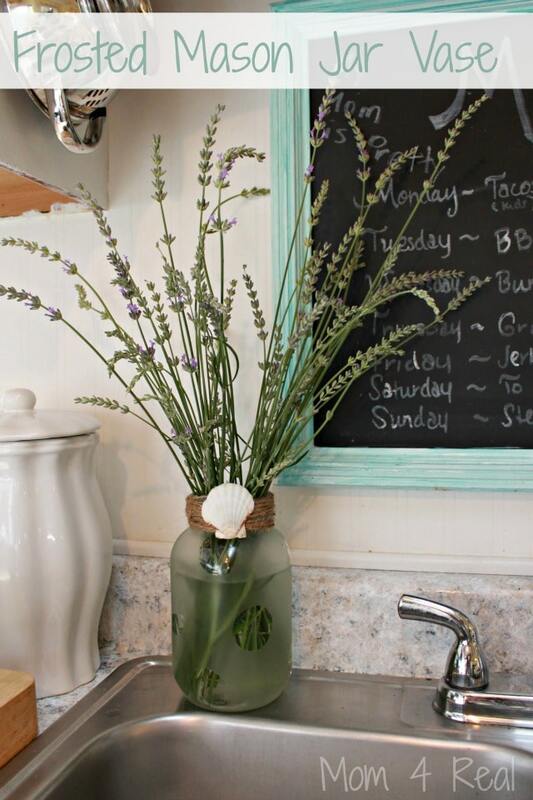 Decorating has never been so easy with this great mason jar bathroom decor idea. And it’s as easy as pie to make. I absolutely love these painted and distressed mason jars from MasonJarCraftsLove.com. Don’t get intimidated, you can totally do this! It’s a great DIY project that will make decorating around the house a breeze. 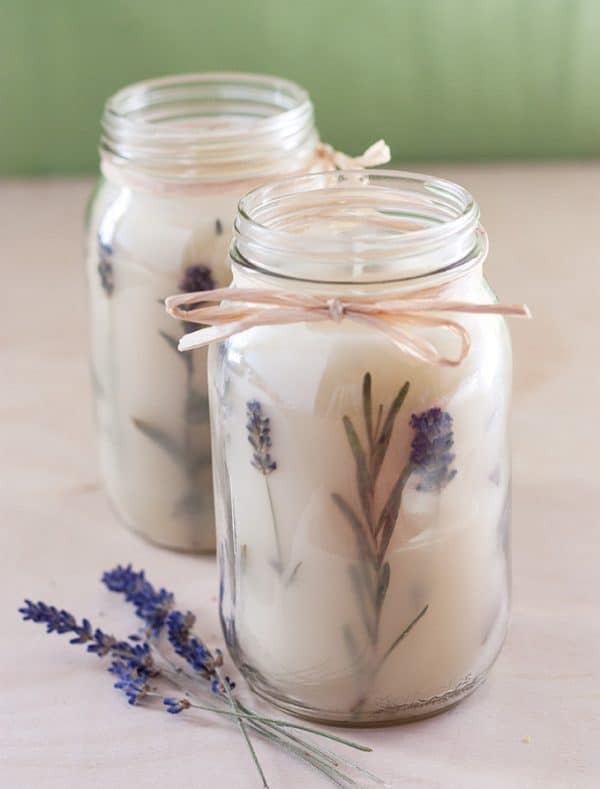 How beautiful are these pressed herb mason jar candles found at Garden Therapy? I’m always looking to use natural air fresheners as much as possible so these candle made from herbs, beeswax, soy wax, and essential oils are perfect. And they just look so pretty in the mason jars! 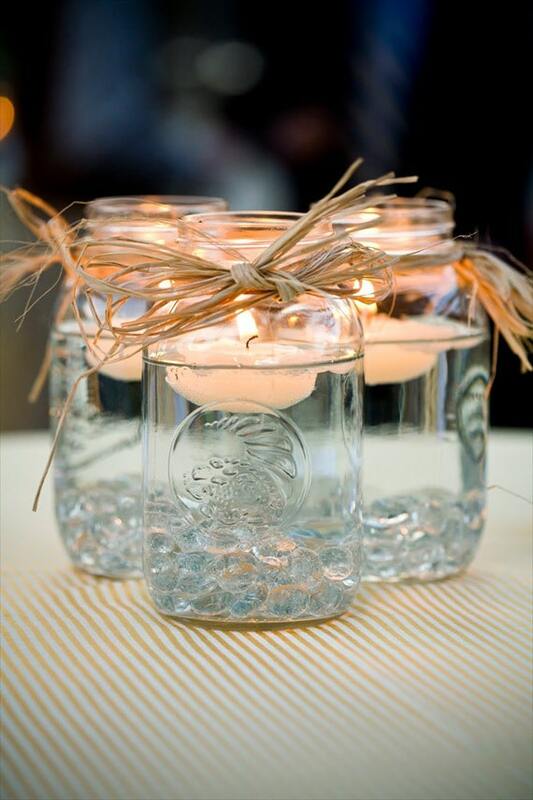 Floating Candle Mason Jar Centerpieces from EmmaLineBride.com are a quick and easy way to create a great ambiance at any event! Even if you keep them inside the house they’ll be a winner. I also love the raffia wrapped around the top of the jar for that rustic touch…twine would work too! Personally, I am also going to use this candle idea to decorate our outside patio on those nice, warm, summer nights! And to make it even more useful, if you are looking for a little bug repelling power with your ambiance, take a look at these Natural Bug Repellent Luminaries! No more swatting away all of those mosquitos this summer! OK, this mason jar chandelier over at Nest of Bliss is AMAZING! And surprisingly, it really isn’t out of the realm of possibility for you hard-core DIY’ers! This mason jar decor will knock everyone’s socks off, so get ready to do some major impressing of your friends and family! As a matter of fact, I’m in the middle of some dining room renovations and these are just SCREAMING my name! What a wonderful and unique way to provide light into different rooms in your home. With a little electrical help and some amazing DIY skills, you are going to improve your room beyond your imagination! 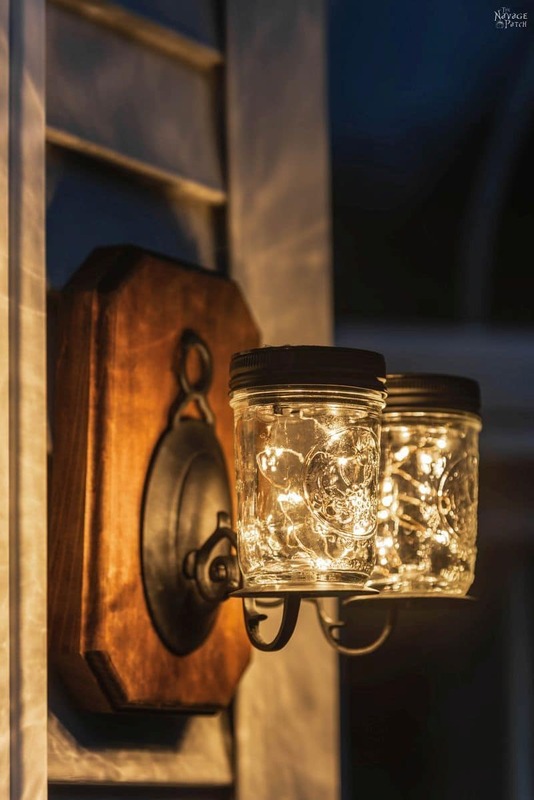 Don’t forget to add the rustic charm of mason jar lighting to your deck or patio too. 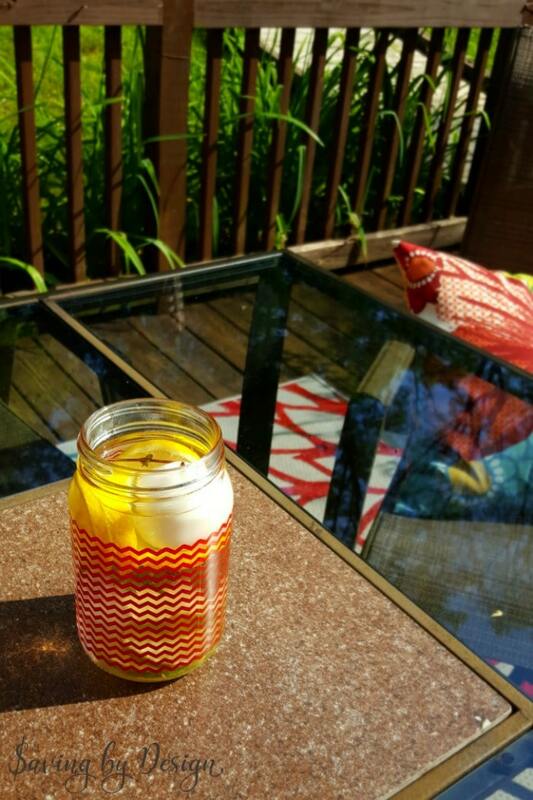 These mason jar solar lights from The Navage Patch will help you do just that! 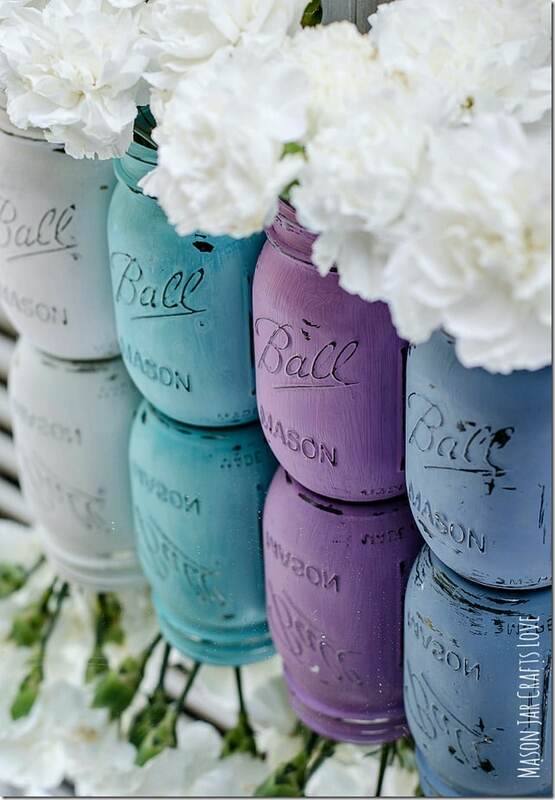 Decorating with mason jars is such a hot trend right now and by making these yourself, it’s completely affordable and a great rustic addition! Hopefully you’ve found some great ideas here. No matter your home decor needs, there are a variety of DIY projects that will keep you busy. And I bet once you make one and your friends and family see it, they’ll be begging you to make one for them too! Have fun! 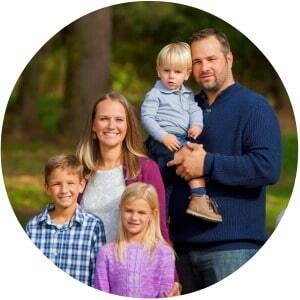 > Make the Perfect Shirt for Any Occasion – These 5 Things are All You Need!